The journey to Gulmarg leads in fact to one of the best and most spectacular powder ski areas of the world – but it also leads into a region which is hardly known, to a ski resort which is still a long way from what most guests are used to, into a different culture area, to a remote settlement where tourism infrastructure is still primarily oriented towards summer guests, to a mountain which due to its exposure and topography presents a considerable danger potential and to a village where most service providers (ski shops, ski instructors, guides, hotels, etc.) are just at the beginning of the learning process on how to professionally deal with winter sports’ guests. For trips to unknown regions it is important to get a clear picture on what to expect in advance. From comfort expectations in hotels to safety in the area and dangers on the road and the mountain and the real costs of the vacation one is confronted with a number of unknowns. In order to properly plan their Gulmarg trip and to find the right partner to book a program that fulfills their comfort and safety expectations many guests start surfing the web for relevant information. Reliable and competent answers, however, are rare and not always easy to find. With this blog “Skiing in Gulmarg with a Guide?” I describe some of the factors to consider for assuring that the Gulmarg ski trip becomes an amazing holiday experience. My assessments and recommendations are based on several years of experience as organizer and guide of adventure ski trips and trekking expeditions all over the world, and since the winter 2006 also as organizer and guide of powder ski programs in Gulmarg. Especially in places like Gulmarg a guided program offers numerous advantages and includes therefore much more than “only” assuring the skiers’ safety on the mountain! Professional operators and their teams are not only keeping the guests safe on the mountain but also take care of all other aspects of the trip and thus making sure that the expected amazing holiday experience becomes a reality! In regions where tourism infrastructures are only very basic and where guests are faced with a culture they only know from media reports and from accounts of previous visitors it is important to assure that everybody feels welcome and comfortable from the moment of the arrival till the last minute of the departure day! Only very few holiday makers have time for experiments or the desire to experience a “survival camp” style vacation. They want to fully enjoy the few ski days they have and return home healthy and with as many positive experiences as possible. Professional operators with guided programs are therefore taking care of their guests around the clock and assure that they have at least one person on the spot who speaks most of the visitors’ mother tongues! 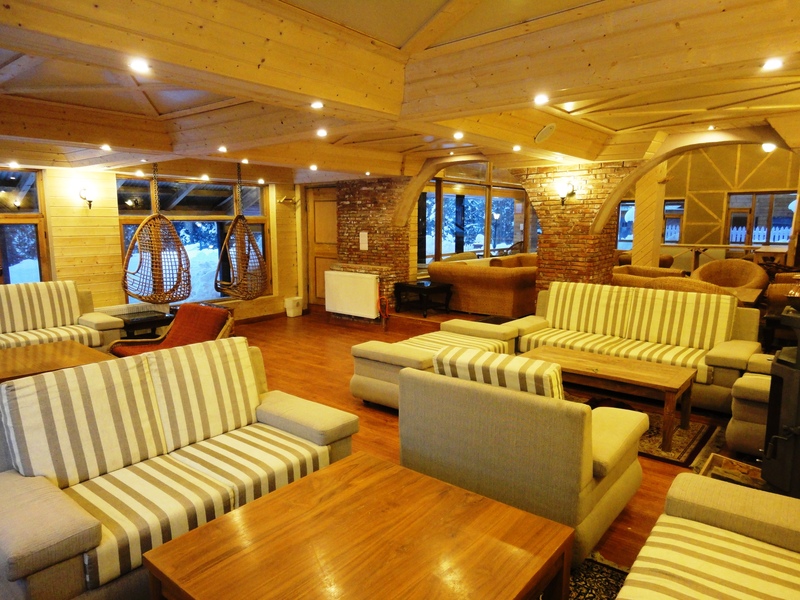 Particularly in Gulmarg superior guest service is very important for the guests’ happiness and wellbeing. Ski tourism with several hundred foreign tourists per week exists in Kashmir only since the winter 2005/2006. Despite the construction of some new hotels over the past few years there are still only a few lodging options that meet comfort expectations of international guests (e.g. central heating in all rooms, bathrooms with sufficient running cold and warm water for all guests, a dining room which can accommodate all people staying in the hotel, etc.). At present Gulmarg disposes only of approx. 150 hotel rooms which meet more or less the expectation of guests who don’t belong to the “budget traveler” group. These rooms are mostly taken well in advance and to some extend even overbooked. 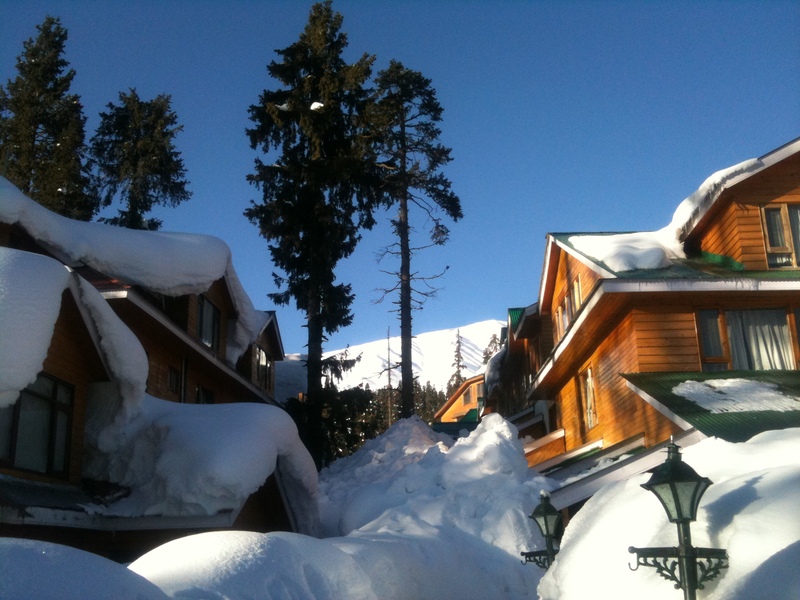 There are no other accommodation options in or within reasonable proximity of Gulmarg. In order to take a decision on which type of Himalaya ski vacation to book it is important to know that the number of guests in Gulmarg has steadily risen over the years and the period from mid January to end February has become what can be described as “high season”. Free hotel rooms and experienced guides are difficult to find then and it is up to the program operators to assure that their guests’ expectations can be met also during that period! Even when a powder snow area has been well explored and has established itself as a hot spot in the freeriding community skiers will only be facing the true picture of the difficulties and challenges of the terrain once they set foot on the mountain. Often the terrain is more difficult than expected and the access points for the planned runs cannot be found as easily as hoped. Furthermore there is little reliable information on the avalanche danger levels available and rescue services are only very basic or don’t exist at all! 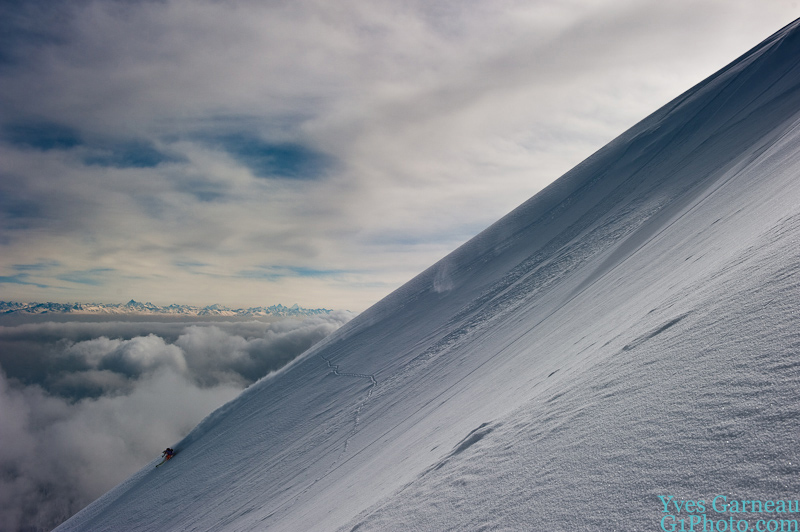 Freeriders with a sound skiing experience in high alpine terrain and the required skills in avalanche danger assessment and safe route finding will be able to ski independently after some time. For skiers with little experience in skiing high alpine terrain and just a basic training in avalanche danger assessment the runs on Mt. Apharwat often result in a “Russian Roulette” experience! 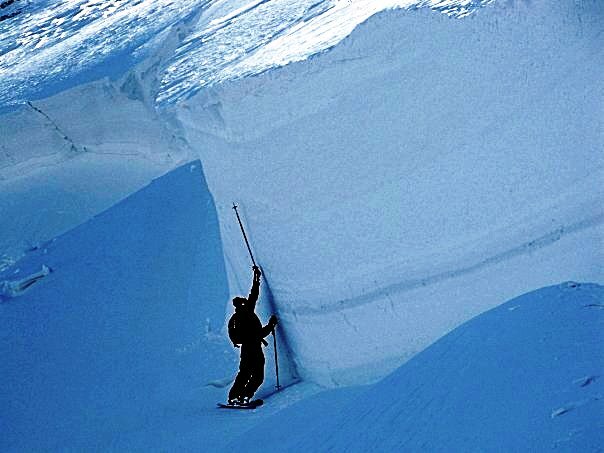 The decision to ski with or without a guide is quite easy to take – one simply must answer the following questions honestly and with an unconditioned “yes”: “Am I at all times in a position to assess the avalanche danger and the terrain conditions sufficiently so that I can ski the first line or follow other tracks with good conscience, and am I capable to find the way down the mountain and back to the cable car or the village by myself, even in the fog or at night?”! Gulmarg is not like La Grave, Chamonix or one of the other famous high alpine freeriding areas in the Alps where the terrain structure with massive rocks and narrow couloirs results in an unconscious fear which naturally promotes the decision to ski with a guide or frightens guests to such an extent that they automatically abstain from skiing runs they don’t trust. 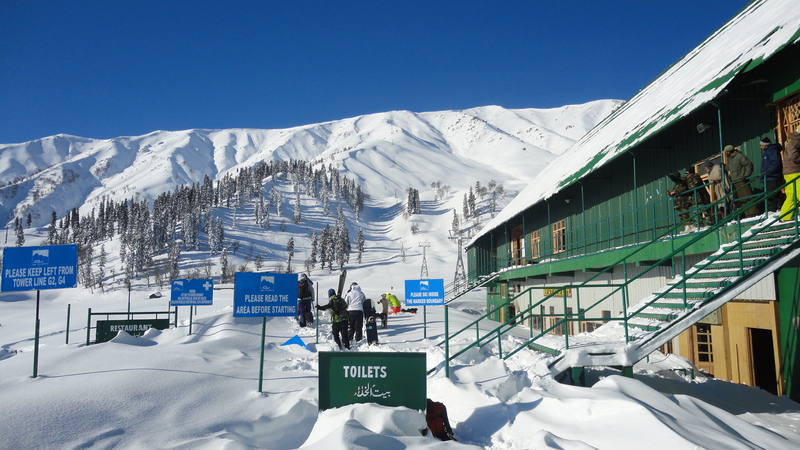 Gulmarg is quite the opposite, the terrain is wide open and it has many ridges and bowls. Overall it leaves the impression of being harmless and easy to ski. It is indeed not the terrain structure (rocks, couloirs) but the terrain exposure (N/NE/SE), its steepness (mostly more than 35°), and the regular wind impact (S/SW) and the heavy snow falls (usually more than 30cm) which represent a considerable danger potential. The few avalanche incidents of the past years may also lead to wrong conclusions. Since the winter 2008/2009 we saw a total of 6 avalanche incidents, 5 thereof with 1 or 2 buried and partially injured tourists and a large avalanche which buried 45 soldiers thereof 18 were found death and a number of them suffered serious injuries. Whereas the tourists were buried in the area near the cable car the soldiers were hit in the true back country area some 100m below the tree line. (see map below). From the above number of incidents it could be assumed that the ski terrain in Gulmarg is relatively safe. In my opinion, however, the number of incidents can only serve as reference for one part of the terrain (ca. 30%) and has to be understood accordingly. They are mainly the result of a responsible but rather conservative release of the controlled terrain to the public after snow fall. This leads to a healthy delay in the access to the regularly and heavily skied terrain near the gondola and reduces its danger potential to some extent but is not eliminating it completely! For the remaining less skied terrain and the long descents to Drang sound skills for risk assessment and route finding are still an absolute necessity. Furthermore an increasing number of guests have now the desire to complement their powder ski trip to Gulmarg with some back country touring and we also start having guests who come to Gulmarg to improve their elementary powder skiing skills in a real freeriding terrain. The expectations of these visitors, however, can only be fulfilled if they book and participate in a program that is run by professionals! 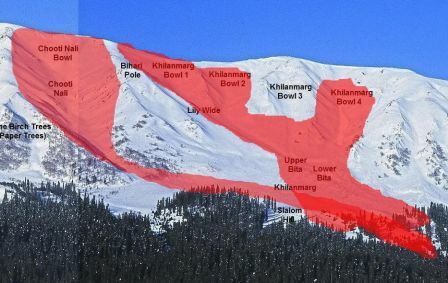 At Free Ski Himalaya we split the 20km long Apharwat ridge in 3 zones, the “safe zone” that includes only the bowl next to the gondola, the “mainstream zone” which includes the easily accessible and heavily skied bowls left and right of the gondola and the seldom skied “back country zone” which consists of the remaining terrain on Mt. Apharwat and the long descent to Drang (70%!!). Whereas the published avalanche danger level gives an indication on the risks for the whole area skiers still need to follow the same code of conduct that is applied in all other ski areas for descents in unsecured high alpine terrains. Descents in the “Back Country Zone” should therefore only be undertaken with a trained and experienced guide! In this respect the question arises where to find in Gulmarg a guide I can trust and with whom I feel safe – and are there any at all? The first group consists of a handful of freelancing guides who thanks to their skills have gained the trust of guests and have been recommended to other visitors. Most of them dispose of the required knowhow and skills to lead groups in the “Back Country Zone” and are therefore mostly fully booked for the season. A second group of roughly 20 guides partially fits the profile of the freelance guides. Most of them are hired by program operators and were also trained by them. These guides are usually fully booked from mid January to end February too. The third group represents the sum of all remaining local skiers who hope to earn their living as a guide. Here you can find just about everything, from good and mature skiers with self acquired guiding skills to average or good skiers with little or no guiding knowhow and average skiers who may complete their very first run from the top of Mt. Aphawart together with their clients! Most of the guides in group one and two are so called “registered guides” and as such officially legitimized to guide groups in the upper region of the mountain, over the past years many of them have participated in various types of training and are well prepared to assume the responsibilities of a guide. A list with the names and pictures of these registered guides can be found at the tourism office and sometimes at the base station of the gondola. Fostering trust and assuring safety are the most important tasks of a guide; in order to be hired by Free Ski Himalaya guides must dispose of the necessary character traits to perform accordingly. On the top of our checklist we put therefore verbal and non verbal communication skills in English (vocabulary and pronunciation, appearance and behavior), the second point is personal maturity which means being able to fully assume the role of a responsible guide who is capable to become a decisive and respected boss when needed and the skills and empathy to perform as a coach and a good friend on the mountain for several days or weeks. Of course their skiing skills must also be at a level that allows them to guide groups of all performance levels and in all snow conditions. Everything else is covered by our back country guide training. Based on my experience in the Himalaya I would like to make the following statement on the subject of “safety on the mountain”: People planning to ski in Gulmarg outside of the safe zone always need a guide! The further they plan to explore the terrain the more important become the skills and experience of a guide and the more difficult it becomes to find a competent guide on the spot on short notice! The most important parts of an amazing ski holiday in Gulmarg are definitely outstanding and unforgettable powder runs. This is the key expectation all program operators must aim to fulfill, especially those who offer “guided” programs. With excellent snow conditions and 100% sunny days the guests would probably be satisfied even if they had to spend the non skiing part of their vacation in miserable conditions. However, we all are aware that in high alpine terrain we must always expect 40% to 50% bad weather days, even in the Himalaya and therefore the professional operators must do everything in their power to assure that the visitors’ entire stay in Gulmarg turns into the same amazing holiday experience as for the “Salewa Team” and all the many other guests who since 2006 enjoyed riding the mountain with Free Ski Himalaya! As Gulmarg is not yet the winter sports resort where everything goes as expected or as it is suggested in some “biased” reports future visitors should try to gather as much information as possible when planning a ski trip to the Himalaya and before making the final decision on program type and booking partner. When travelling to new and unknown adventure destinations for mountain sports activities I always act in accordance with the following principle: “Hope for the best and prepare for the worst!” a code of conduct that has served me well during all these years! The less time I am able to spend in the visited area the more I must investigate the critical path and minimize or if possible even eliminate all potential risk factors. In other word I must make sure that I make use of the best “know how” available and must be willing to pay for it. For a short stay in Gulmarg I would therefore always book a “guided program”, the insights I get and the experience I make will always justify the extra expense of 10% to 15% on the total trip costs. It is, however, important that I am able to identify and select an experienced and established program operator who disposes of the required skills to deliver the promised services also in a competent and professional manner. Due to the increased tourist flow to Gulmarg the number of “program operators” has also risen over the years and today potential visitors can choose which one suits them best and whom they trust most. “Private Programs”, these are only offered by experienced, international mountain guides (most with UIAMG diploma). Normally they use also an experienced local guide during the first couple of days of their stay and if they have large groups the local guide is even hired for the duration of the stay. Their customers are often guests they know from previous trips. Their guests are lodged in the best hotels in the area, the group size is limited and they offer fixed date trips only. “Professional Programs”, these programs are operated by organizations that are specialized in the adventure tourism market. Ski trips to Gulmarg are part of their core business. The programs are managed by experienced, often internationally active mountain sports specialists and executed in close cooperation with qualified local guides. They also lodge their guests in a defined hotel of the best category, their group size is limited to 4 to 6 guests with identical skiing skills, and they offer free choice of date and duration of the trip. “Commercial Programs”, in this category we find offers of travel agencies, agents and middlemen. Their offers often include only one part of the services needed, usually the hotel and sometimes a local “guide” or a mountain companion. 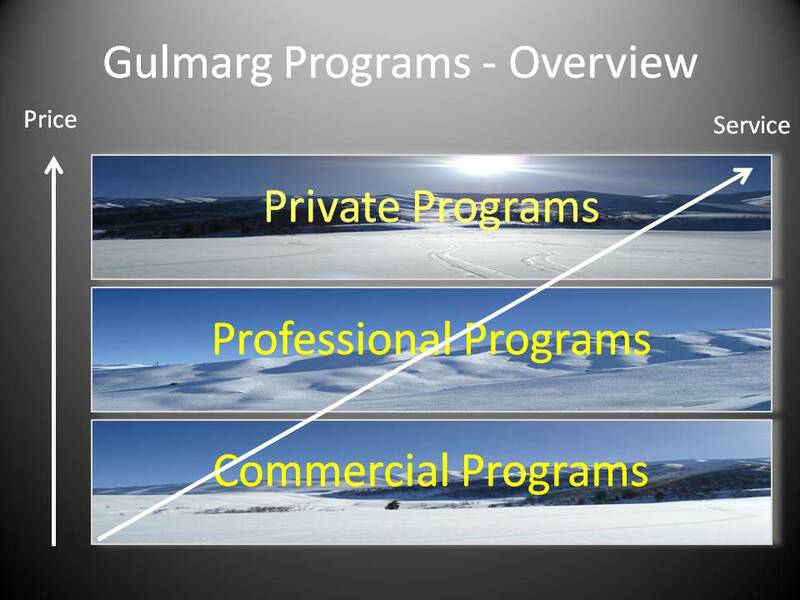 For most of these organizations the Gulmarg programs are not part of their core business or their primary source of income. On the spot the guests often have to look after themselves or are to some extend taken care of by a local contact person. Guests are lodged in hotels of various categories; travel dates and trip duration are usually fixed. Thanks to this wide range of offers guests can now choose the program type that suits their requirements best! 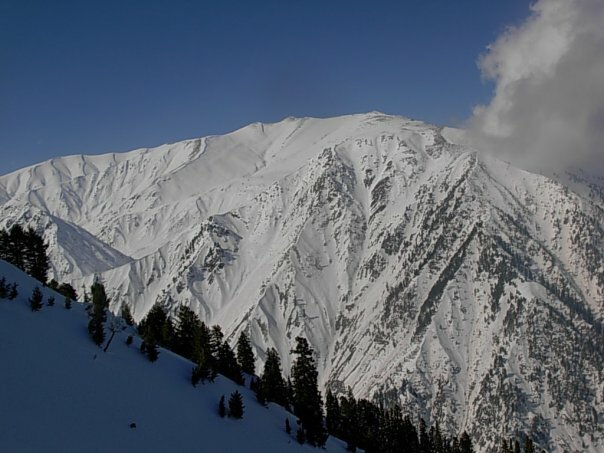 The higher the expectations for comfort, safety and service are and the less knowledge of foreign cultures and of powder skiing in remote high alpine terrain the guests have the more important it becomes to choose the right partner and to take a decision whether to book the Gulmarg ski vacation with or without guide. In conclusion, the question “Skiing in Gulmarg with a Guide” is only answered after a comprehensive clarification of the points discussed in this article and after an honest assessment of one’s own skills and capabilities. The better prepared one is the higher the chances are that the expected amazing holiday experience in the Himalaya will in fact become reality!